On your opponent's next turn, if their attack is psychical, they will be dealt 50 damage and paralysis. Flip a coin. If heads, the opposing Pokémon is now paralyzed. 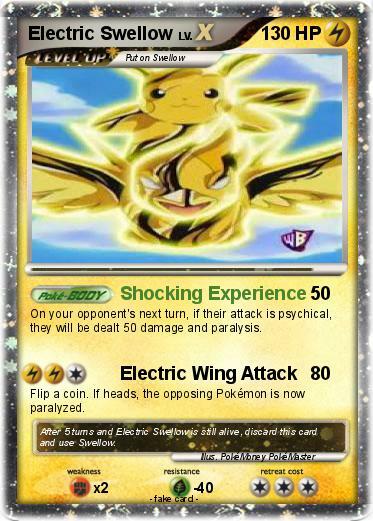 Comments : After 5 turns and Electric Swellow is still alive, discard this card and use Swellow.